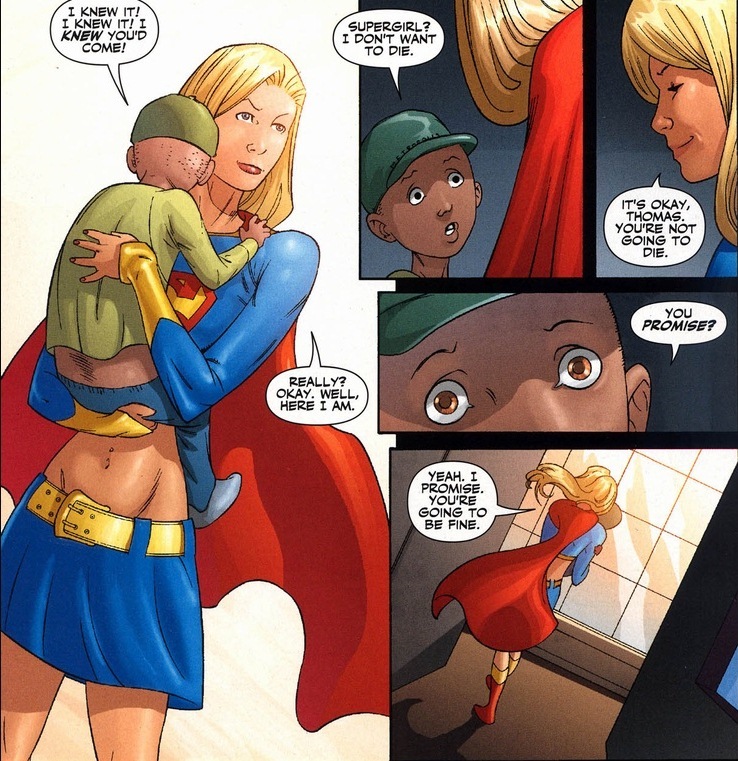 I like Supergirl. 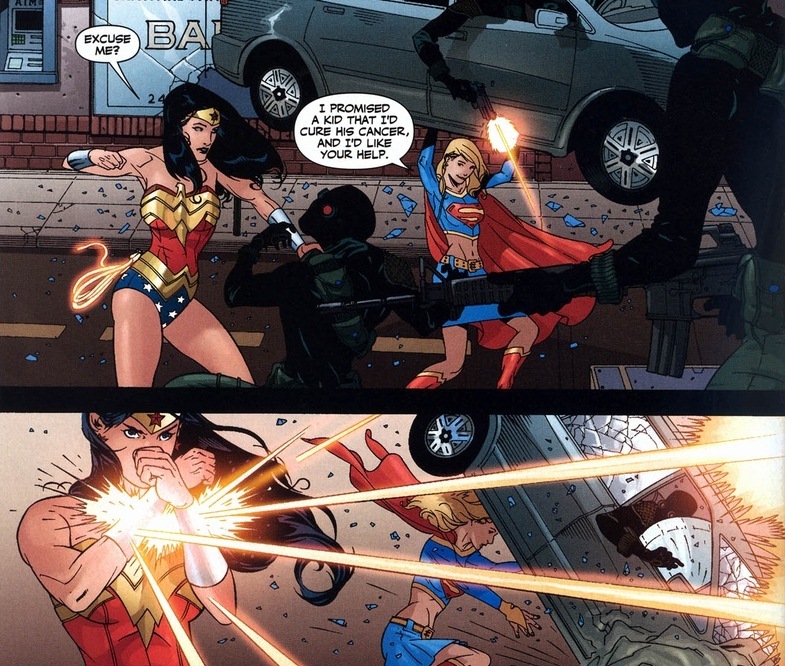 She’s in a very small minority of superheroes that fights crime in a skirt. 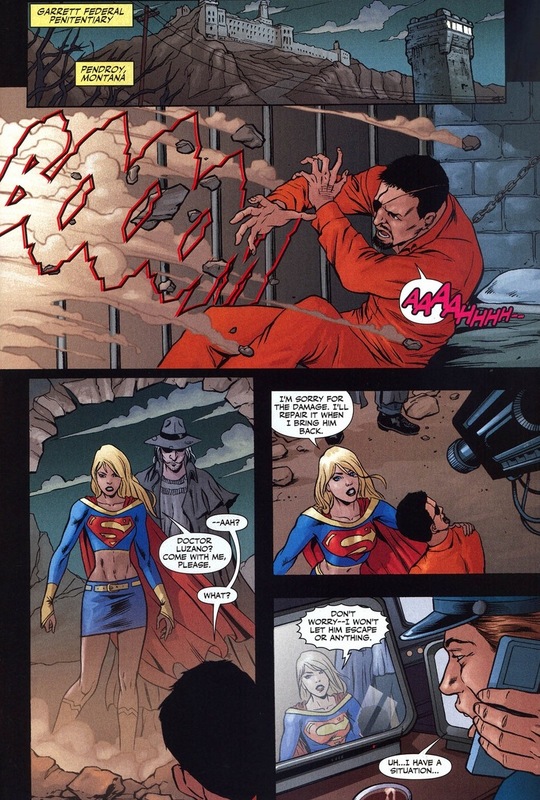 More importantly, the charms of the newly reintroduced Supergirl (real name Kara Zor El) and her solo series back in the early 2000s provided a superhero who had to learn the ropes of bad guy beating, unlike so many of the other established heroes who had been taking out supervillains in the DC universe for decades. It’s a fun change to see a superhero start from the beginning. 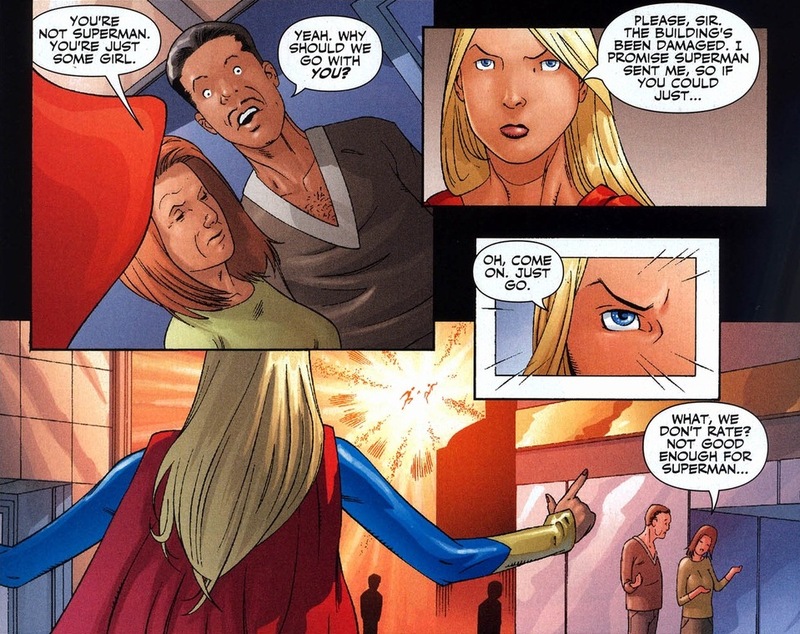 And today, Kara learns something very important: sometimes punching just isn’t enough. 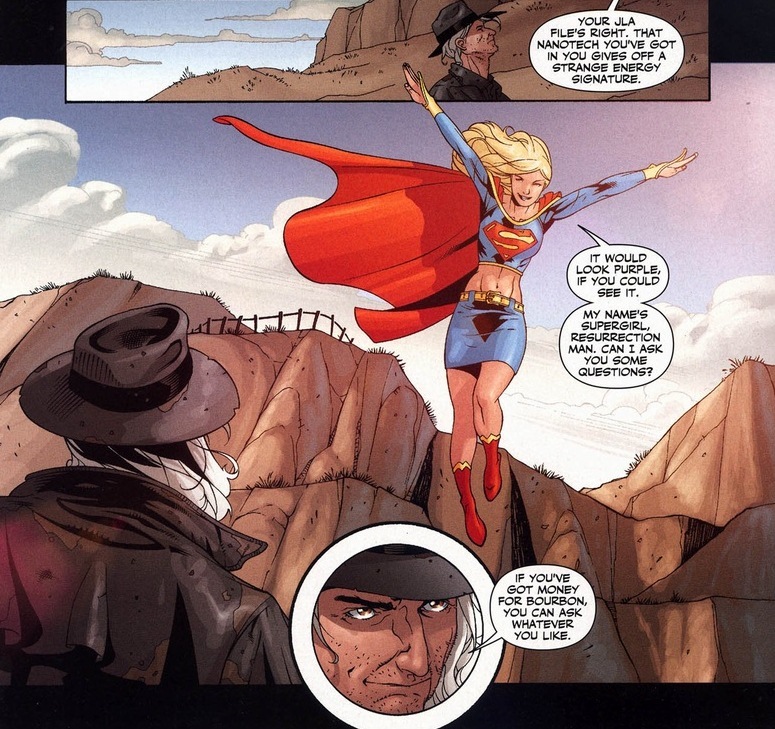 Let’s take this life journey together in Supergirl #26-32, written by Kelley Puckett and drawn by Drew Johnson, Lee Ferguson, Ron Randall, & Brad Walker. 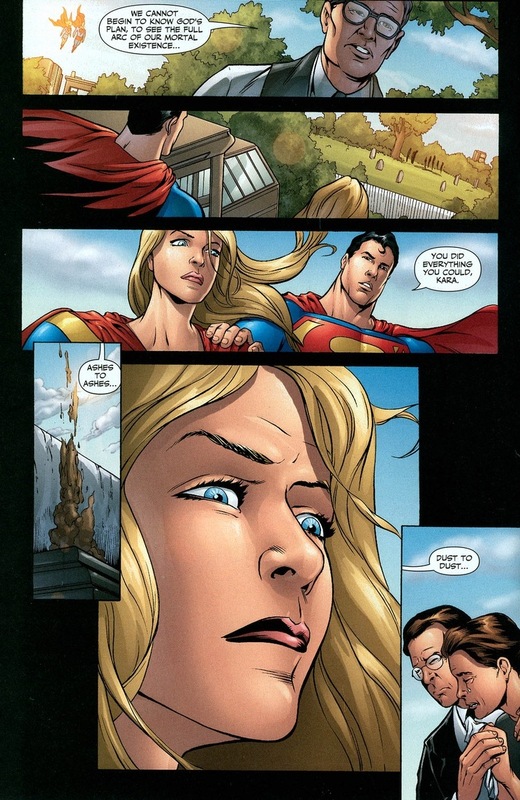 The adventure starts like any normal day for the Superman family with saving people from a collapsing building. Comic book skyscrapers are just so fragile. 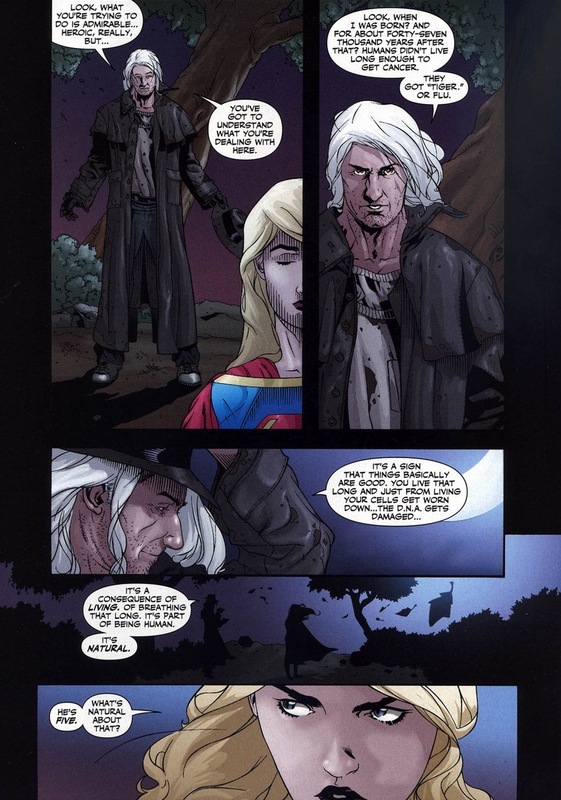 Superman plays that Superman role (“Hey buddy, you know that superheroes have a lot of amazing powers, right? 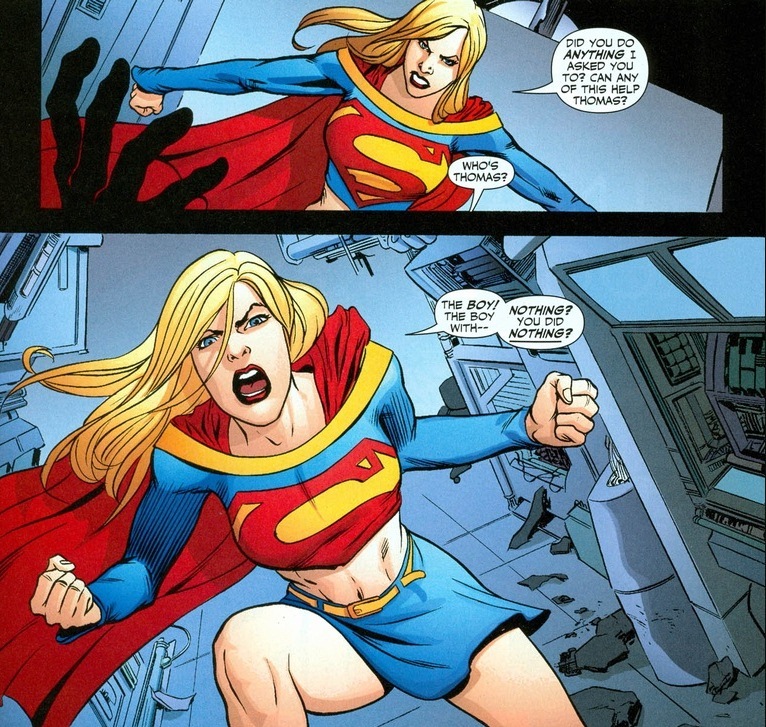 But…) and in a totally impulsive decision, Supergirl refuses to take the easy way out. She’s a superhero, gosh darn it. Let’s be fair. 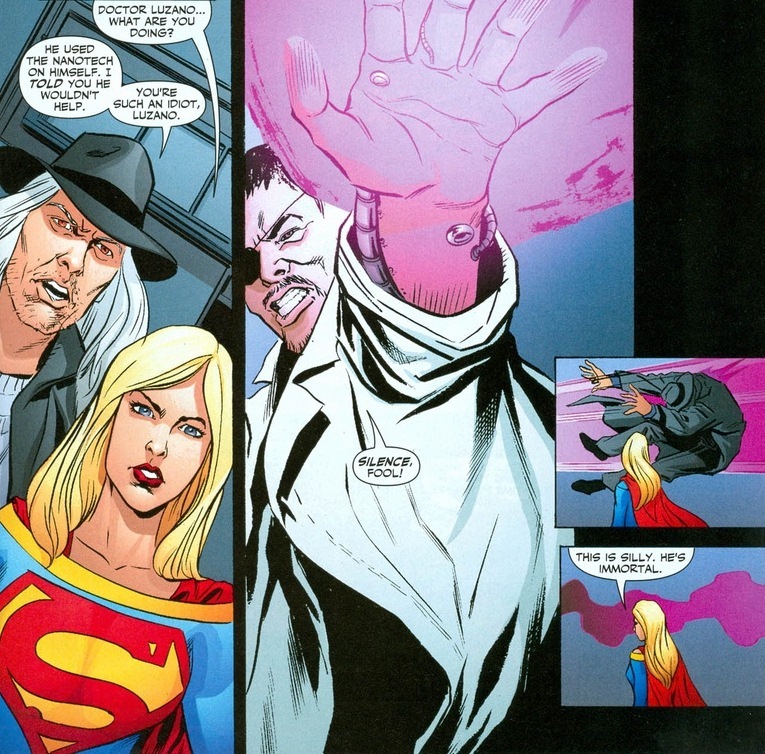 Supergirl has a ton of cool abilities. She can survive in the vacuum of space. She has both heat rays and freeze breath. She retains the respect and admiration of her peers despite a costume with an exposed torso. 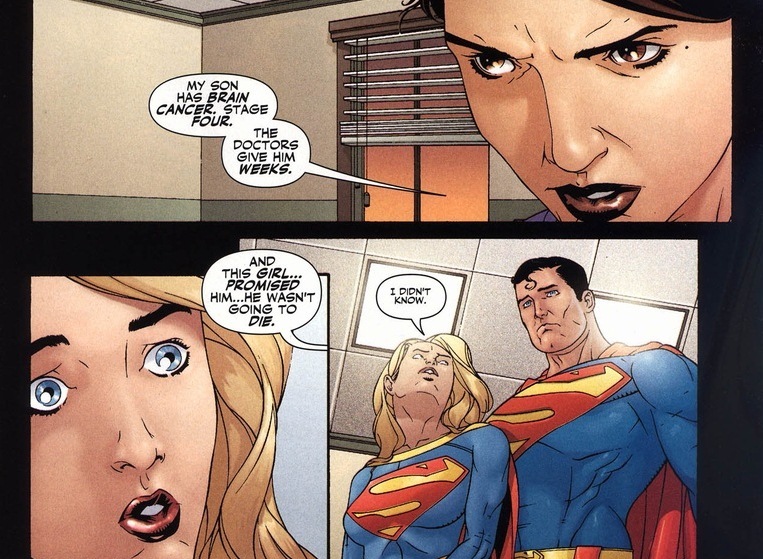 But she can’t cure cancer — a little beyond Kryptonian capabilities. So time to find out who can. First up, Wonder Woman. 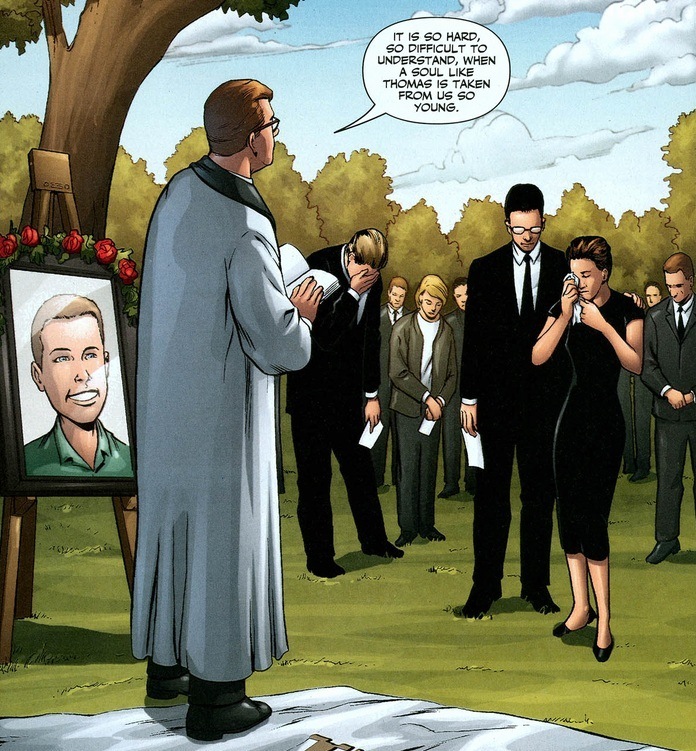 You know, the superhero community isn’t as supportive as you’d think. Tolerant, sure. But supportive? Not when it comes to impossibilities, even in a world filled with aliens, magic, and time travel. 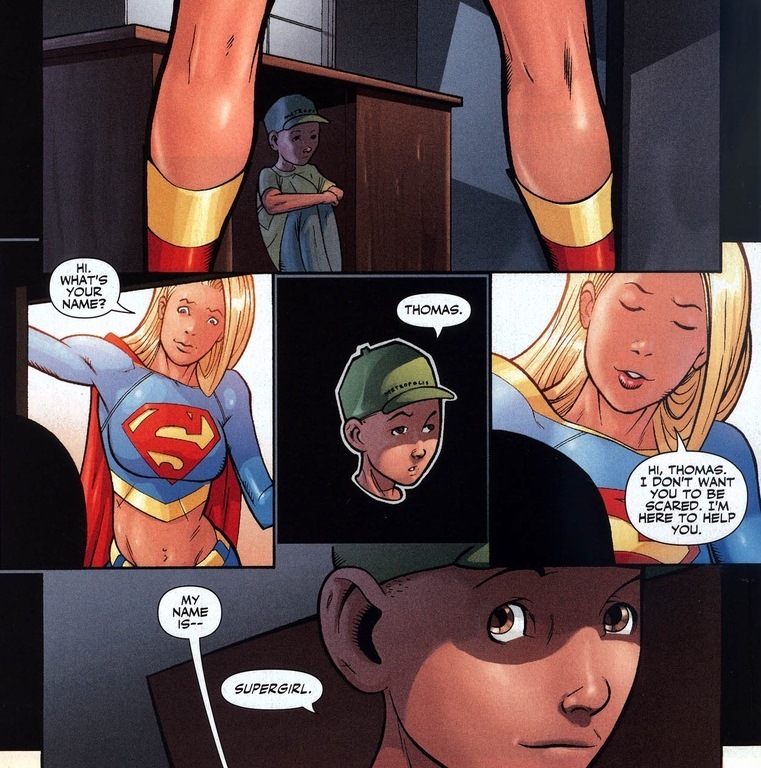 But Kara isn’t going to give up. 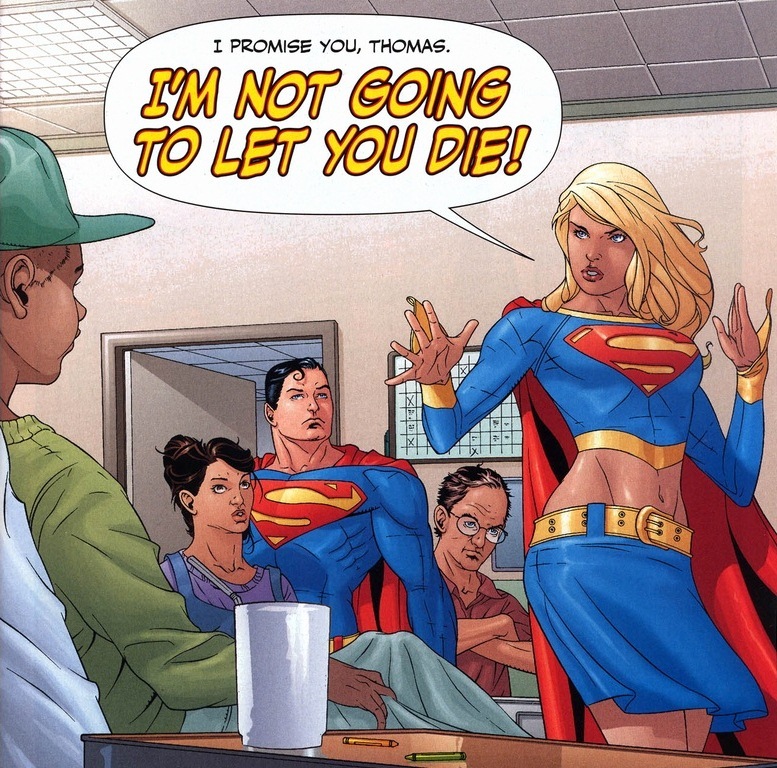 If Superman’s friends can’t get her what she wants, time to move onto the fringe, gritty section of the DC universe. And honestly, that’s not a bad plan at all. Might take a while, but has a legitimate chance of success. Only one problem with that plan: that pesky having-to-die-to-receive-a-new-power part. 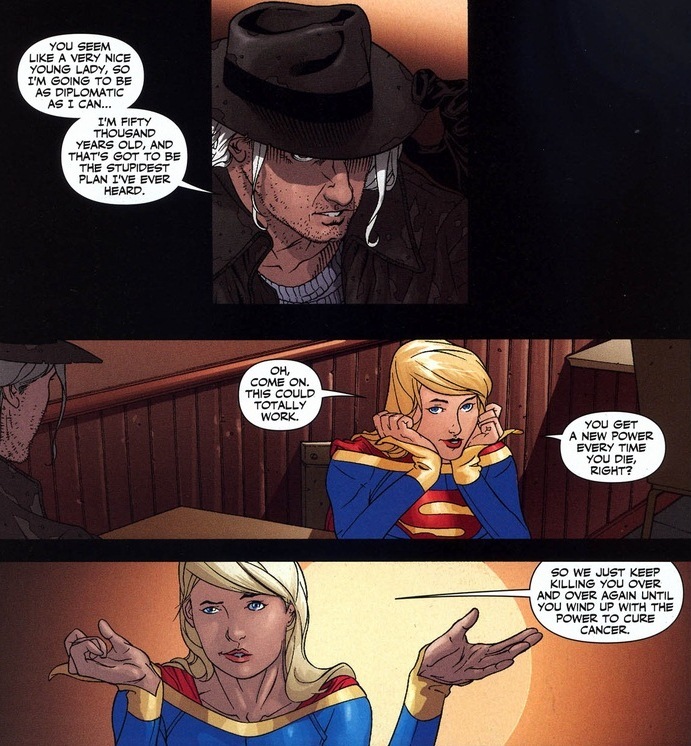 Frustrated and unable to kill the drunk hobo, Supergirl form a new plan. 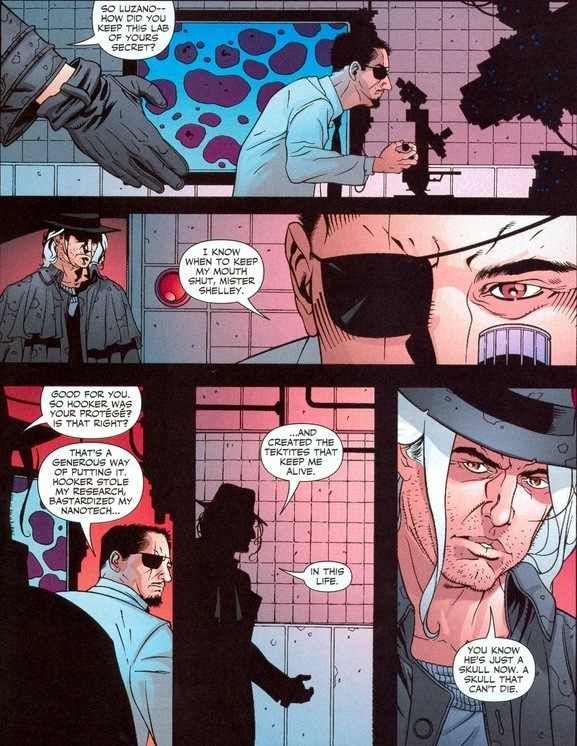 Instead of slaughtering poor Resurrection Man a few hundred times, the two of them would instead go grab the supervillain that created Resurrection Man in the first place. Now, this makes the origin of Shelley a little suspect. It’s established in canon that the dudes’s been around for tens of thousands of years, yet his powers were specifically created by a mad scientist in his lab. 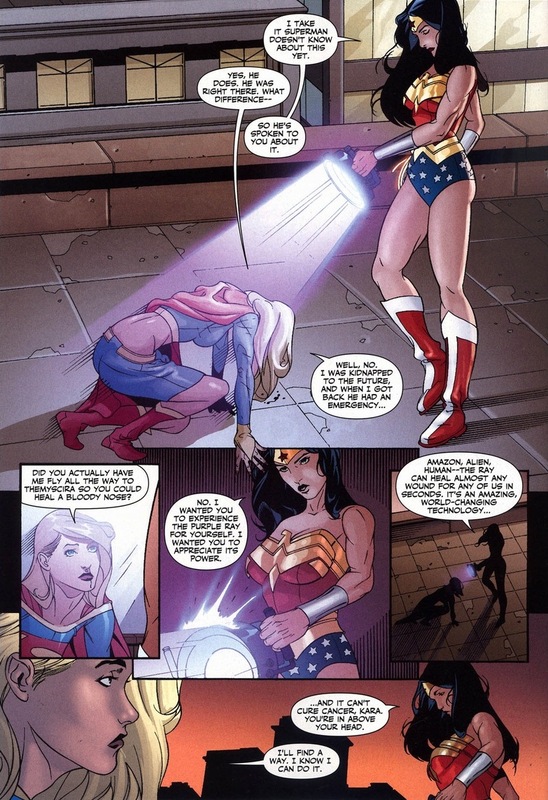 Look, let’s not worry about that and suspend our disbelief for the next few pages. As you can expect from a supervillain. 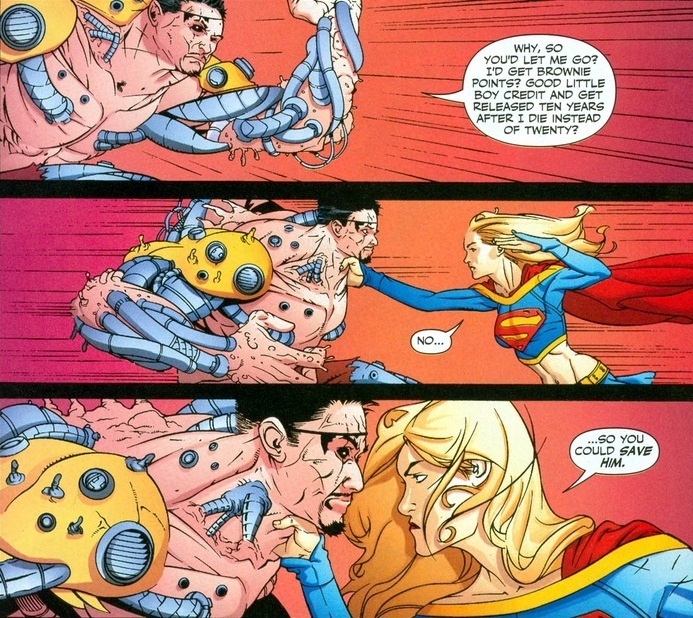 This plan blows up in Supergirl’s face. Literally. They should have known he’d betray them the second they saw the eyepatch. Oh well. Now Dr. Luzano gets both a beating and a lecture on morality from an angry teenager. 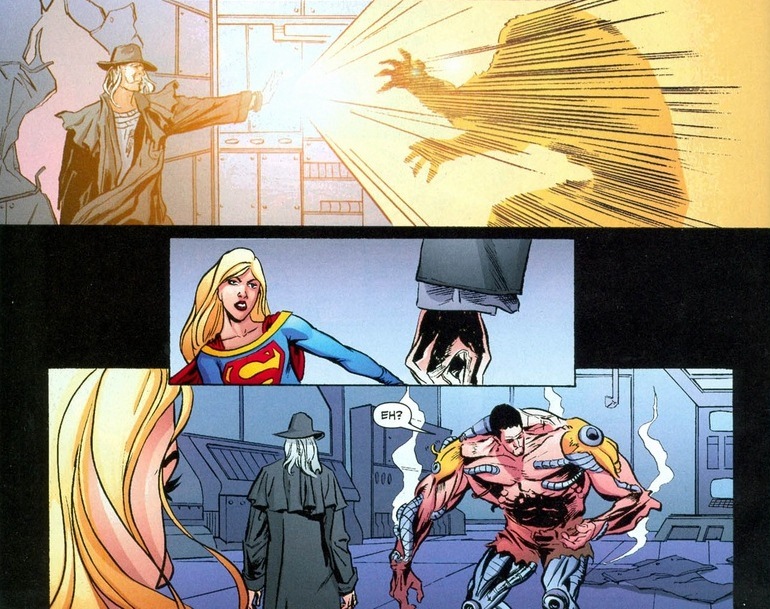 Oh, and Resurrection Man’s new fancy power when he revives this time? A healing ray! That’s quite lucky. 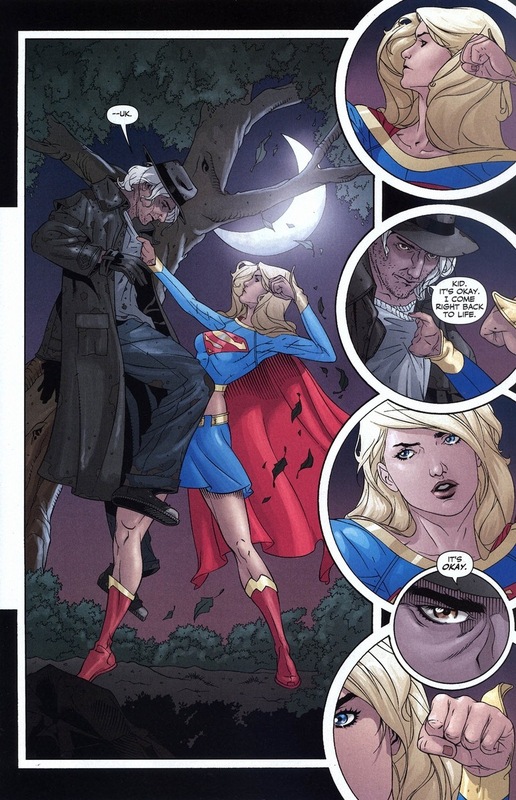 After pummeling the bad doctor, all that’s left is for Kara to bring Resurrection Man to the dying boy and we all end this article on a heartwarming happy ending! Or not. Even with super speed, sometimes superheroes just aren’t fast enough. 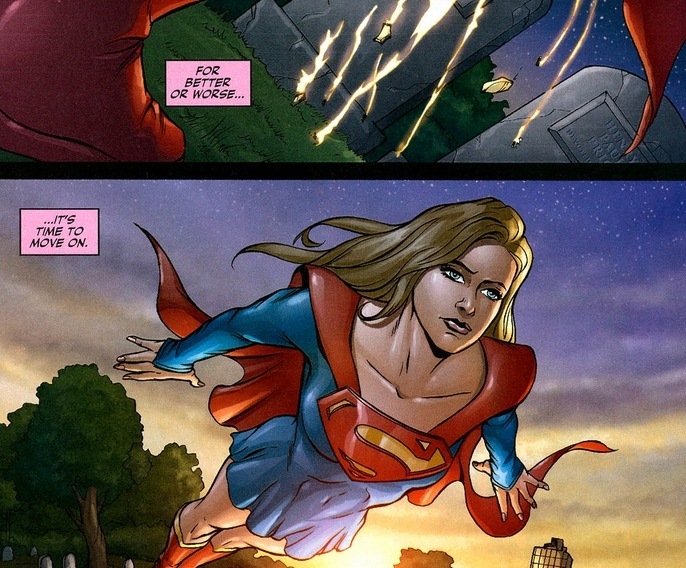 A testament to Supergirl that even with the boy’s death, she doesn’t give up. There’re still two issues left of this arc. I’m not going to cover them. She tries blood injections, time travel, and even hunting down another supervillain in an alien war zone. But, unfortunately, some problems just remain unsolvable. 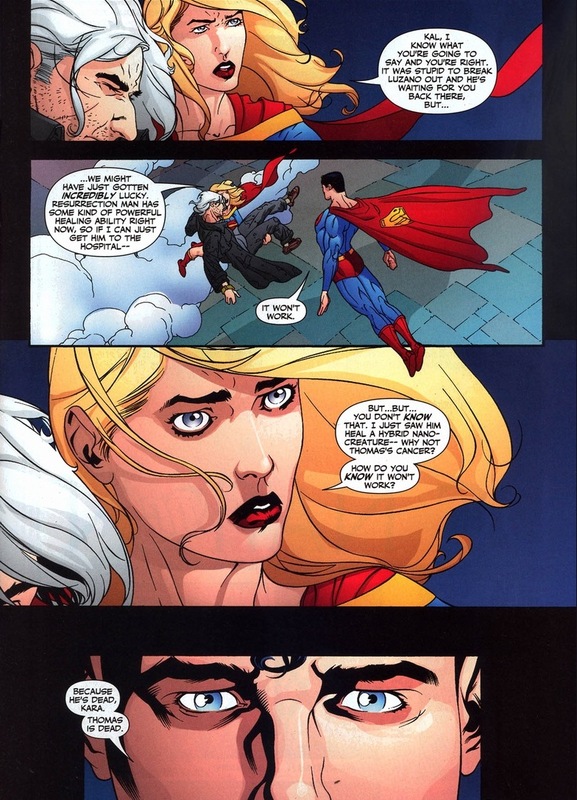 Sadly, at the end of her long, heartbreaking journey, she learns the one lesson that Superman has known for decades.